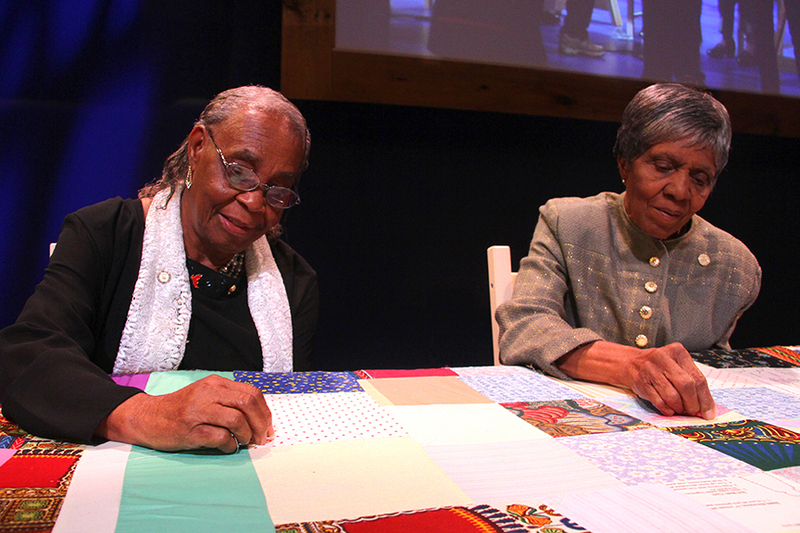 Mary Lee Bendolph, Lucy Mingo and Loretta Pettway carry on a tradition of quilting that began during slavery in the predominantly African-American community of Boykin, Alabama, known as Gee's Bend for a nearby bend in the Alabama River. Gee’s Bend quilts are improvisational and inventive and have been compared to abstract paintings. 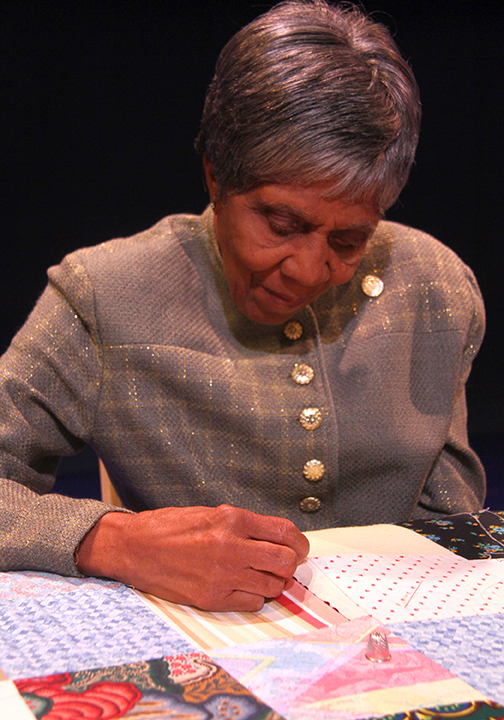 They drew national notice during the 1960s civil rights movement when the women took part in the Freedom Quilting Bee. These quilts were sold throughout the United States, producing needed income for the community. 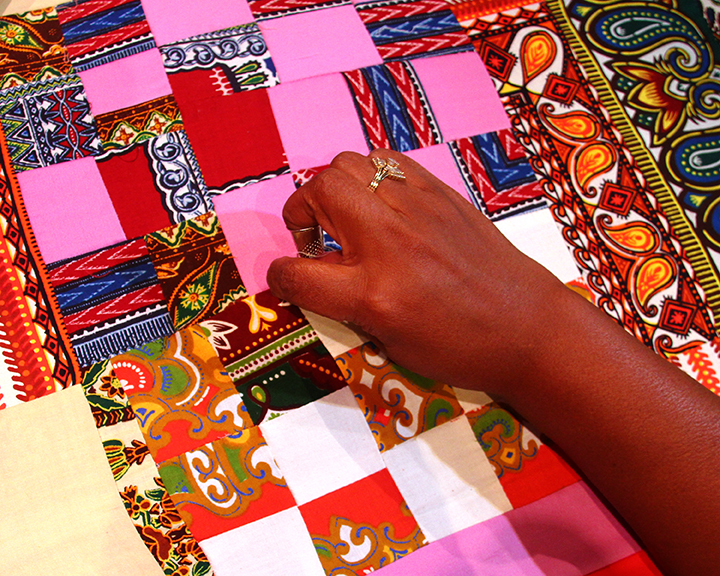 Quilts made by the three Heritage Fellows have been exhibited in museums from Houston to New York City. 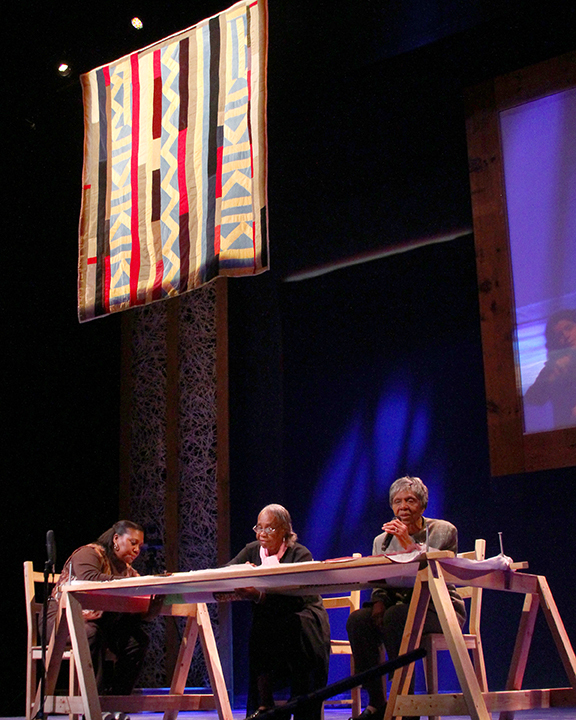 Two quilts by Loretta Pettway and one by Mary Lee Bendolph were in the group chosen for the U.S. Postal Stamp Collection issued in 2006. Today, paintings of these quilts are part of the Quilt Mural Trail in Gee's Bend. In 1965, Dr. Martin Luther King, Jr., visited the community and encouraged residents to register to vote and to join him in a march to Selma, Alabama. Many Gee’s Bend women were jailed for these actions, and the ferry service that connected Gee’s Bend to the larger town of Camden was canceled until 2006. When King was assassinated in 1968, two mules owned by Gee’s Bend farmers pulled his casket. Like others in the community, the three honorees have led difficult lives, working in farm fields from an early age. 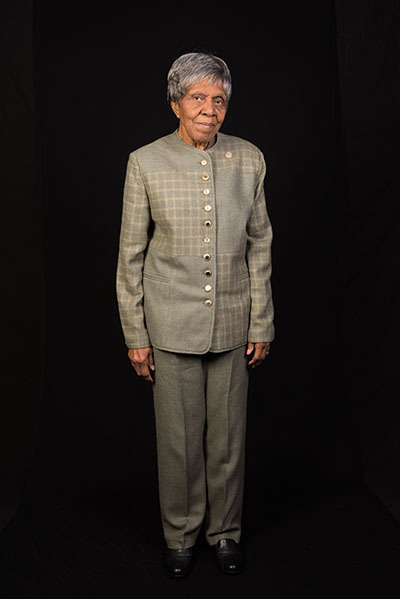 The oldest of the three, Lucy Mingo was born in 1931 in Rehoboth, a settlement near Gee’s Bend. “You know, we had hard times,” she has said. “We worked in the fields, we picked cotton, and sometimes we had it and sometimes we didn’t. And so when you look at your quilt and say, ‘This is some of the old clothes that I wore in the fields. I wore them out, but they’re still doing good.’” She and her husband, David, raised ten children. 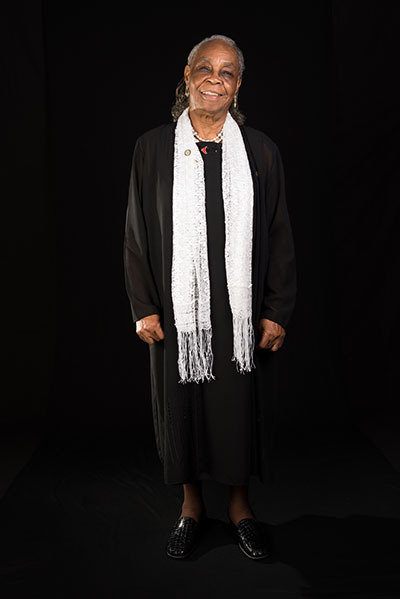 She was among those who registered to vote and accompanied King on the march to Selma. 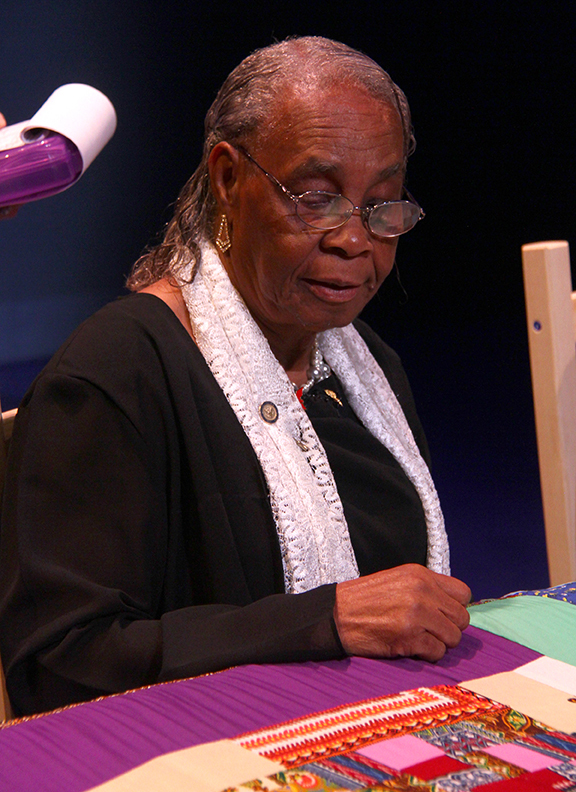 Mingo worked as a homemaking educator for more than twenty years and has taught quiltmaking all over the country. 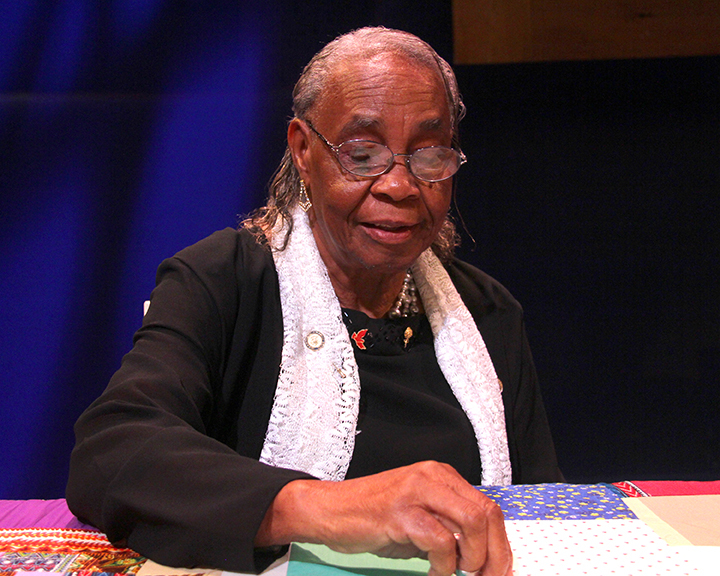 In 2006, she received a Folk Arts Apprenticeship grant from the Alabama State Council on the Arts to teach quiltmaking to her daughter Polly Raymond. 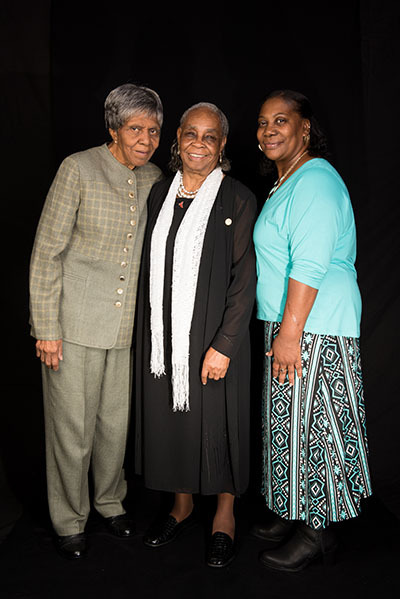 Lucy Mingo, Mary Lee Bendolph and Claudine Pettway at the 2015 National Heritage Fellowship Concert, Washington, D.C., courtesy National Endowment for the Arts. 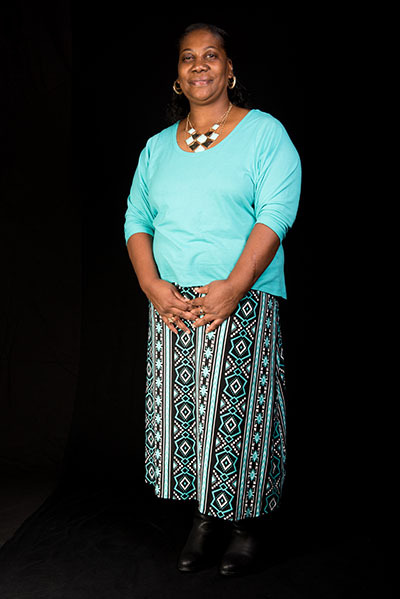 Claudine Pettway answers the question "How do you pass on this tradition?" Interview by Alan Govenar, Washington, D.C., 2015. Claudine Pettway answers the question "How do you pick the colors?" Interview by Alan Govenar, Washington, D.C., 2015. Claudine Pettway answers the question "How does music influence your quilting?" Interview by Alan Govenar, Washington, D.C., 2015. Claudine Pettway answers the question "What is your style?" Interview by Alan Govenar, Washington, D.C., 2015. 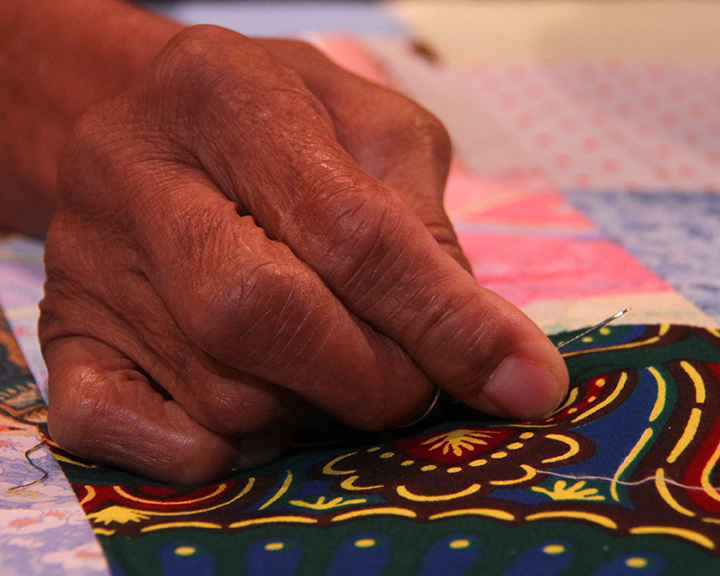 Lucy Mingo answers the question "How many quilts have you made?" Interview by Alan Govenar, Washington, D.C., 2015. Lucy Mingo answers the question "What is the meaning of tradition in your life?" Interview by Alan Govenar, Washington, D.C., 2015. Lucy Mingo answers the question "What is your style?" Interview by Alan Govenar, Washington, D.C., 2015. Lucy Mingo answers the question "What was it like growing up in Alabama?" Interview by Alan Govenar, Washington, D.C., 2015. Mary Lee Bendolph answers the question "How did you get started quilting?" Interview by Alan Govenar, Washington, D.C., 2015.